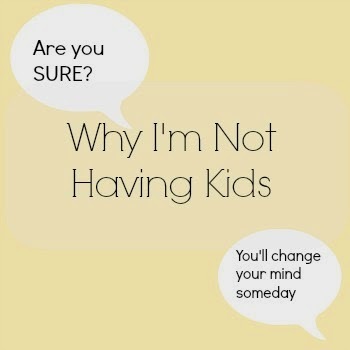 Life Choices… On Not Wanting Kids! I am a married woman of 32 and have known for many years that I never want to have kids. Firstly, I have no mothering tendencies and think I lack any kind of biological clock. Secondly, I want to enjoy my life, and hauling around a kid for the next 16-18 years doesn’t personally fulfil that for me (whilst I fully appreciate it does for others). Personally, I think that there are plenty of children already in the world, and plenty of other women who are happily having babies, and I feel no need to add another one to the mix! The choice to enjoy my life in other ways than having babies, is one which I don’t feel selfish for making – and no woman should be made to feel this way. Reactions I have to this choice have rarely included understanding; apart from the odd friends who share my choices, and those who are not ruled by their ticking clocks! The classic, ‘Oh, you’ll change your mind’ line has turned me into a seething monster on a number of occasions. The look of sympathy and derision that accompanies it is even worse! Over a dinner party once, a girlfriend of a friend said to me, after having asked when myself and my fiance would have kids, ‘I just can’t understand any woman who doesn’t want children. It is just not natural’. At which point, a good friend stepped in and defended me, before I found something that could be used as a weapon! I was just in such shock at this statement. How can someone be so blinkered by their biological urges? I am just at a loss. Don’t get me wrong, I have nothing against women who want to have children, that’s their decision. All I ask is that my decision, which is equally valid, is respected, and that people would just stop telling me how my mind will be changed, as if by magic! I know my own mind, and am capable of making my own decisions – please acknowledge that! 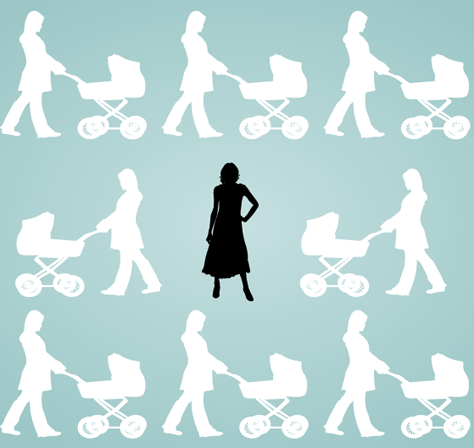 There are women all over the world who make the choice of whether or not to have children, for many reasons. None of these women deserve to be questioned or criticised. It is your choice – make it the right one, for you! Previous Post Great People, Great Animals! Next Post Let’s have a day, and call it… it’s name!